Stuffie love is in the air! Ali Edwards has a new physical kit subscription! 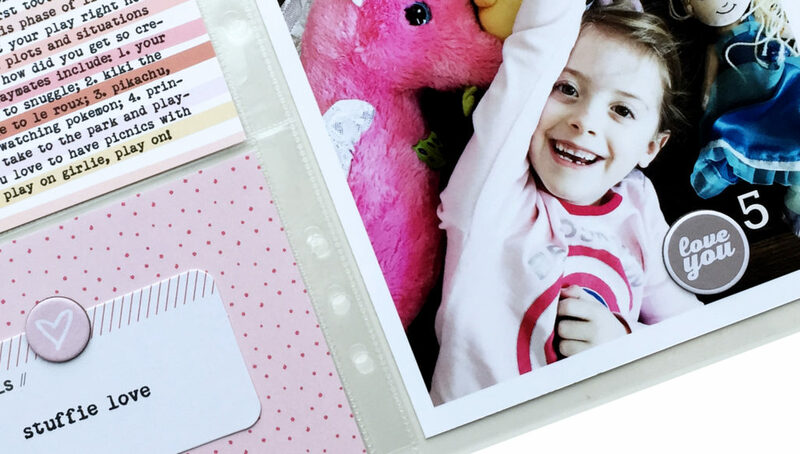 Stories By The Month kit are the monthly digital kits from last year that have been turned into physical products. 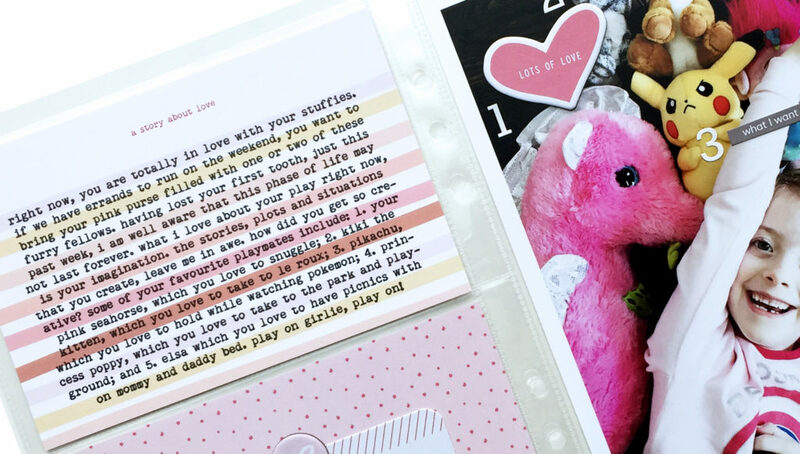 Just have a look at some of the journaling cards and chipboard as shown in my above layout. It also comes with a stamp set too! Let’s just say, I am better at using digital stamps then physical ones! If you love Ali’s digital designs but aren’t tech savvy then you may want to consider subscribing. You can check out her information here. I loved using this month’s kit to document all the stuffies that my daughter currently loves.